Members Absent: Eric Anderson, Shannon Paulus, Kim Cronk, Gina Keenan-Klages, Susan Bauer (secretary; Michael volunteered to do minutes). Police Report: Officers joining us included Chad Hoyord, Michael, and Taylor. Education on Fireworks was discussed. 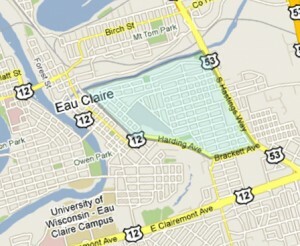 All fireworks that “go in the air or blow-up” is illegal in the city of Eau Claire. Officer Hoyord asked for our Association’s help to spread this message to our Neighbors. EC police’s minimal contact with ICE, Immigration and Custom Enforcement, was also discussed. The goal is for all citizens being treated fairly and equally. Police are not looking for illegal immigrants. Local police’s focus is on nurturing a positive relationship with our immigrant community so they won’t be afraid of contacting them, e.g., resource officers are working with children at schools and in the community carry this message. 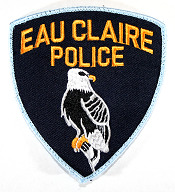 Eau Claire has around 100 officers. Permit requirements for Street/Neighborhood parties, as well as large events/venues were explained. Boyd Park River Access Project: The potential eligibility for a large federal grant this year to be used for river access was found to be not available to us this year because we would need to partner with EC Community Services Department and they are applying for those funds to be used elsewhere. We could consider this funding in future years. Community Services met with Chris and Mark and said they are now not supporting any activities that would make it easier to physically access the Eau Claire River. Although the City’s Comprehensive Plan calls for more access, in this case only visual access would be considered. Community Services said the city’s safety committee ruled against physical access because they could not get their rescue boat in the often times shallow water contiguous with Boyd Park. Creating views of the river and a bench to view it would be considered; historical markers would be considered. If we wanted to further advocate for nature trails under the above guidelines, the City needs to tell us what they would approve. At the above- mentioned meeting, landscape architect/Neighbor Chris Silewski was also there at Chris’s request. Previously Silewski stated it would cost $6O00 to $10,000 to do a detailed site plan to show how the river access area could be designed. Due to the city’s opposition as spelled out above, the committee we recently formed to look at Boyd Park improvements needs to look into projects the Community Services Department would approve. The City feels the Boyd Park Ice Rink is very important for the larger EC community, based on a survey performed by the city. They might be okay with a slightly smaller rink area. A central pavilion in the middle of the park was suggested by one person. Mark and Chris will talk with a Jody Thesing-Ritter from UW-EC about that person’s interest in improving Boyd Park. Chad found Sensory Equipment that might fit the needs of Boyd Park (Editor’s NOTE: Chad can explain this at July meeting). 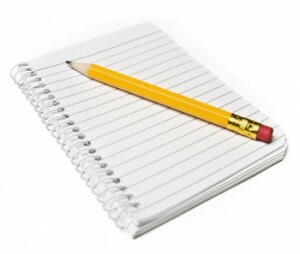 Other equipment ideas will be discussed in the future. Kubb Set-up: 8 Volunteers for Kubb set-up are needed for July 14th @ 5 AM. EHNA Event Calendar: Tania offered to put together an EHNA Event Calendar for our web site. She will explore this with web master Mike Paulus. Results from our Survey will be reviewed and discussed next month,giving Committee members time to become familiar with data collected. Status of our Web Site: There is confusion about Mike Paulus’s plans to upgrade our website. It was recently found out that our collection of Neighbors’ names to get sent regular contact via a “newsletter” has not been kept up resulting in new people being told they would be put on a list to get regular info from our web site, and then these people never getting any follow up info. We are waiting to get an explanation from Mike. He had been invited to this June meeting. “Connecting” to our New Neighbors: Tania is working with others both in and outside of our Neighborhood to possibly put together a program called CONNECT to help welcome new neighbors to our community (a welcome wagon). Info, such as maps of our neighborhood, social events, available healthcare, utilities, banks, etc. The process could possibly offer a newsletter and welcome card, signed by our members. Tania will continue her research on this idea. Picnic @ Boyd on August 19th: Big band music from the professional group 7 Swing has stated they could be our “main stage” music at the picnic; this was approved. Mark will look into having Visit Eau Claire’s Airstream trailer at the picnic. Sales Tax Permit for EHNA/humankind: humanKIND has been selling items without charging tax. Mark will look into this and applying for a sellers permit from the state. Planned Volunteer Opportunities: June 17 and July 18, 9 to 11:30 AM with St Johns Lutheran “Summer Stretch” program, weeding Margaret Street Boulevards; July 18, 6:30 to 8:30 PM with Skateboarders at Prairie; October 14, Spirit Lutheran at Prairie, in AM. If anyone is available to help during these dates, please do so! 2nd Annual Promenade on Margaret Street: Mark will put some ideas/dates together. Gina will look into our Association offering a water/aid station to EC Marathon runners as they come through Boyd Park that could result in revenue for us. Meeting Adjourned. These minutes were approved by Chris, Tania, Michael, Chad, Mark, Meg and Carey.